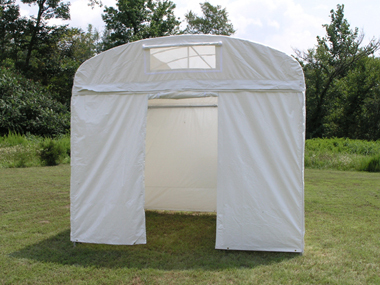 Craft Hut Standard Walls - Price: $110 ea. All Craft Hut walls are made of heavy duty 11 oz. vinyl. 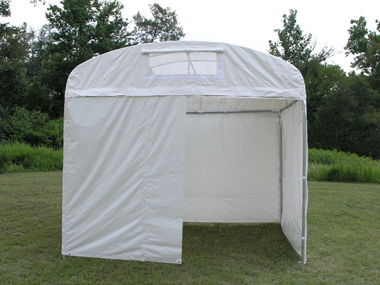 Craft Hut walls also feature roll up straps and heavy duty #10 marine grade zippers on the top and sides. This allows the walls to zip to the Craft Hut top and adjacent walls providing a water tight shield. Craft Hut Door Wall - Price: $145 ea. Mesh Panels were originally developed for the TrimLine, but Flourish co. now produces a model for the Craft Hut. 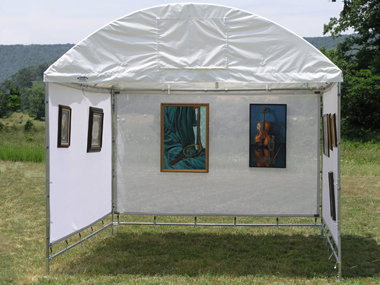 Mesh Panels are the professionals choice for hanging 2D artwork! 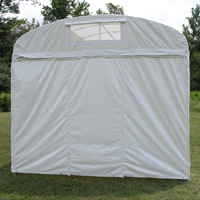 Craft Hut Center Zip Walls - Price: $135 ea.